Here is how it happened. 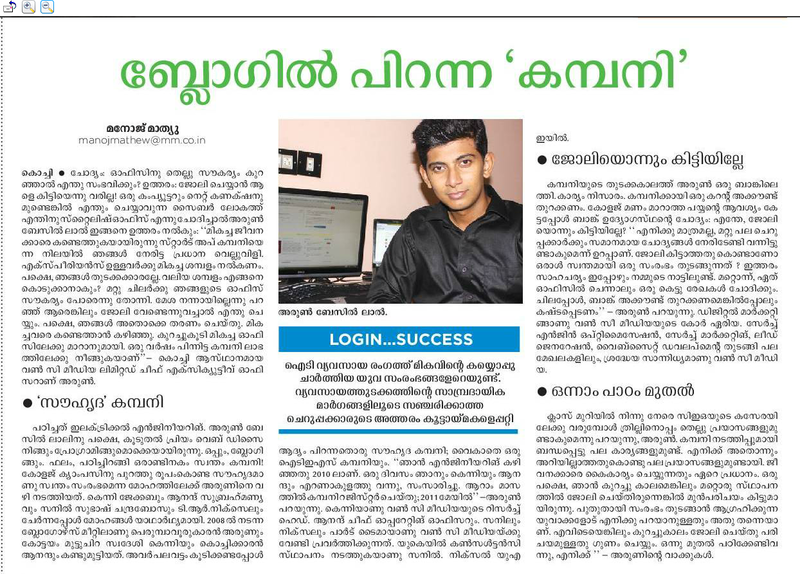 This Saturday afternoon, 4th of August, a Malayala Manorama journalist, Mr. Manoj Mathew calls me and tells me that he wish to feature my start-up, One C Media, in the Business section of the daily which is to be out on Monday. He is a chill guy; we talk for about an hour or so. It went very well, until he asked me for the photos of all the founders. How hard can be a group photo? Not hard if you have one taken already. We didn’t have one and all of us are not at one location to take one at that time. After searching through my hard disc’s without any luck, I called back Manoj if singles would work. Finally we went for a single of mine. That wasn’t easy either. Took me an hour and close to 100 shots to get one right. Finally the tripod I bought in December, paid its worth. So here we have it. Unfortunately there is no English translation; Malayalam isn’t a language supported by Google Translator either. The online version is available here. Also a photograph scan of the real newspaper is here. Almost Famous: I didn’t think of it as a big deal until it got published and people started calling me up. I have been interviewed before and its not the first time I am recognized. Still this felt different because family members, friends and other people who have no idea about what I do and generally never appreciate those things, called me up. The story was shared on Facebook by friends and school mates and people who haven’t called me in a long time started calling. 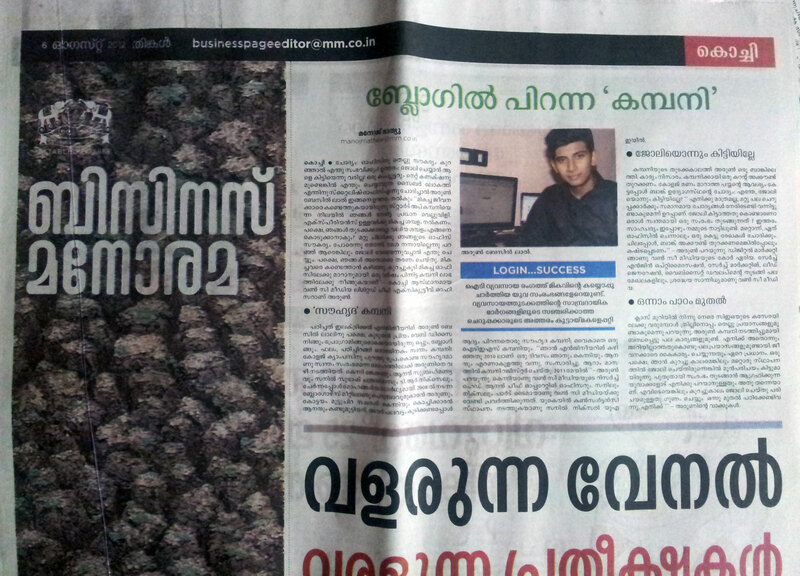 It feels nice to have something published in print, that too on a main stream media. Feels good to be known. PS: I had given your contact to a person who wanted to create leads in the home loan segment. Congrats man. Me also read that news online. At least i know something more that i didnt know. 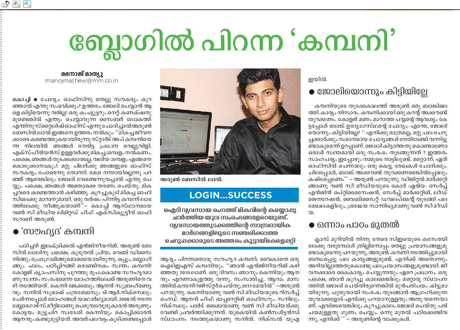 That Malayala is the most circulated newspaper in india. Arun- I was seeing if you had uploaded any photos of Dubai on your personal blog yet, and saw this article. You never even told me you were featured in the paper, you silly goose! How exciting. I am waiting to see those images from Dubai now. of course! Thanks for dropping by my blog and the wishes. Wondering how you got here in the first place. Evideanu eppo?